Buca Yorkville is ranked as one of the best Italian restaurants in Toronto. Located a stones throw from the luxurious Four Seasons Hotel, the chic restaurant specializes in inventive and traditional Italian dishes. Step inside Buca Yorkville in Toronto. After wowing Toronto with his first Italian restaurant on King Street West, Chef Rob Gentile upped his game by opening his third trendy eatery, Buca Osteria & Bar in Yorkville. 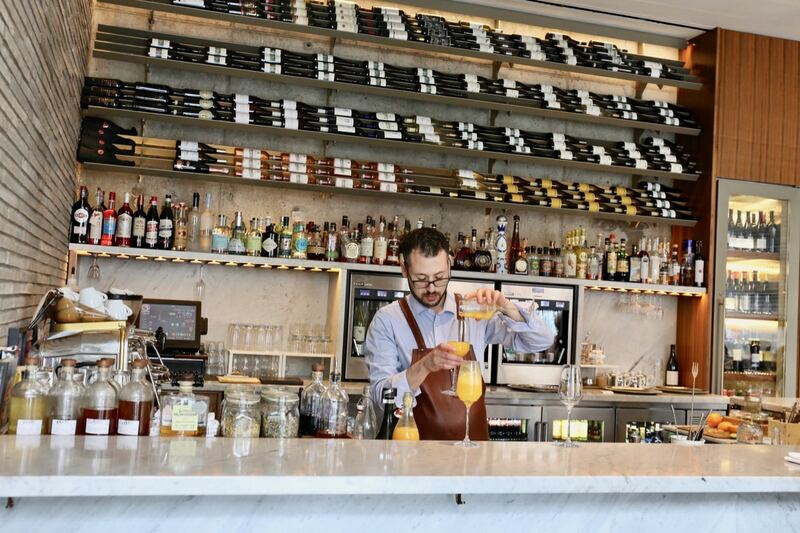 The restaurants sleek interior features an industrial chandelier, posh white marble bar, and a steel wine rack that shows off the sommelier’s favourite labels. Skip through the dining room and you’ll find contemporary furnishings, including a high tops and tables that accommodate 90 diners at a time. Buca Yorkville also offers a semi-private room, which can serve a celebratory crowd of 12. 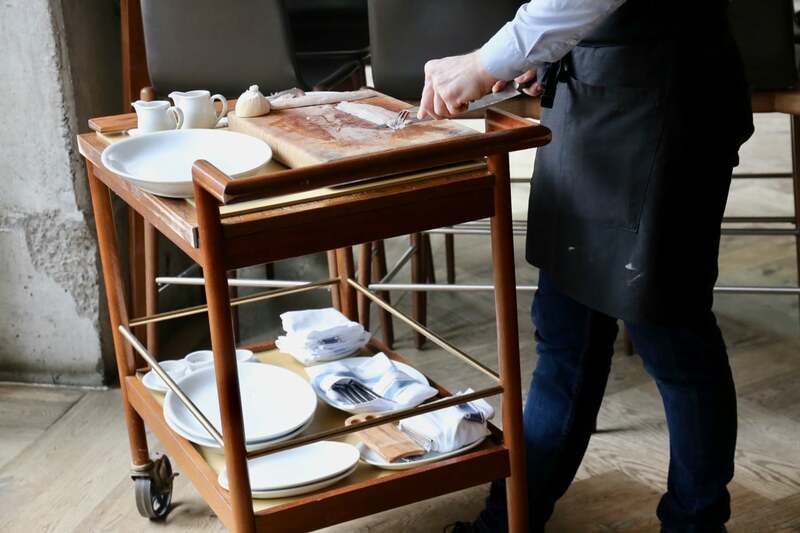 If you’re keen to impress on a romantic date make sure to reserve one of the half dozen seats at the chef’s table, perched over an open kitchen. 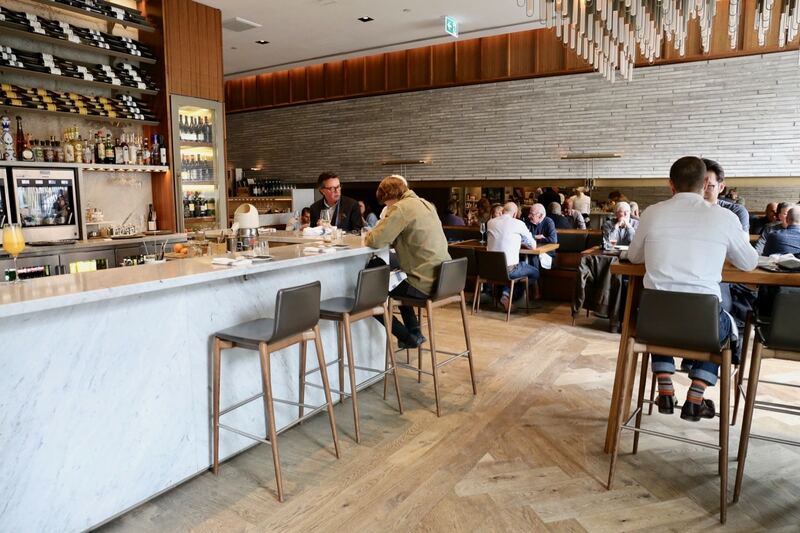 While Buca Yorkville’s interior is pleasing to the eye, its hard walls, ceilings and floors can make chatting at the table a challenge. The bar at Buca Yorkville Italian restaurant. Step inside Buca Yorkville and you’ll immediately be greeted by the restaurants eye-popping bar. If you’re visiting for an impromptu and casual drink, hop up on one of the stools. The handsome bartenders will offer an Italian beverage bible for you to flip through. Highlights from Buca Yorkville’s bar include aperitif muddled cocktails, Italian craft beer, and an impressively pricey wine list featuring some of Italy’s finest bottles. 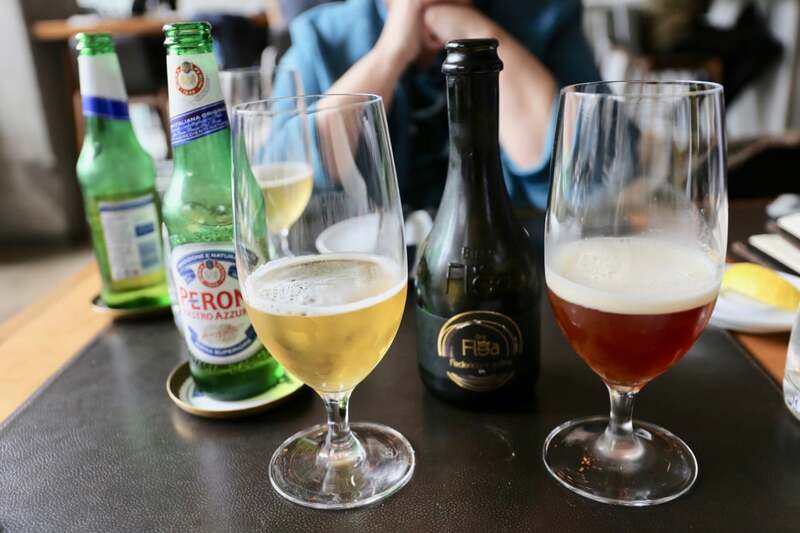 Italian beer at Buca Yorkville. If Buca restaurant on King Street West was celebrated for its house made charcuterie, its sister, Buca Yorkville puts seafood in the spotlight. Buca restaurant’s Yorkville location takes diners on a coastal vacation, adventuring through dreamy Italian destinations such as the Amalfi Coast. Chef Rob Gentile’s menu offers a broad selection of fresh seafood, including house made salmi di mare. 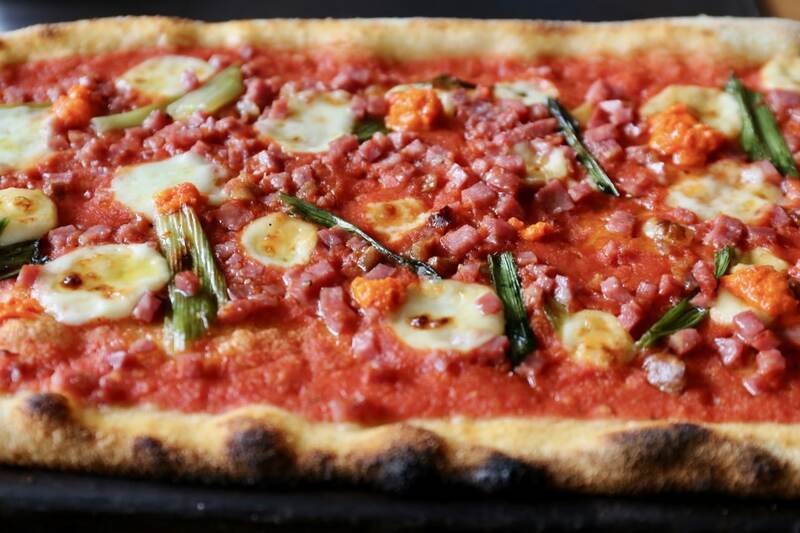 The Italian restaurant in Toronto also features Buca’s trademark al dente pastas and vintage scissor snipped thin-crust pizzas. 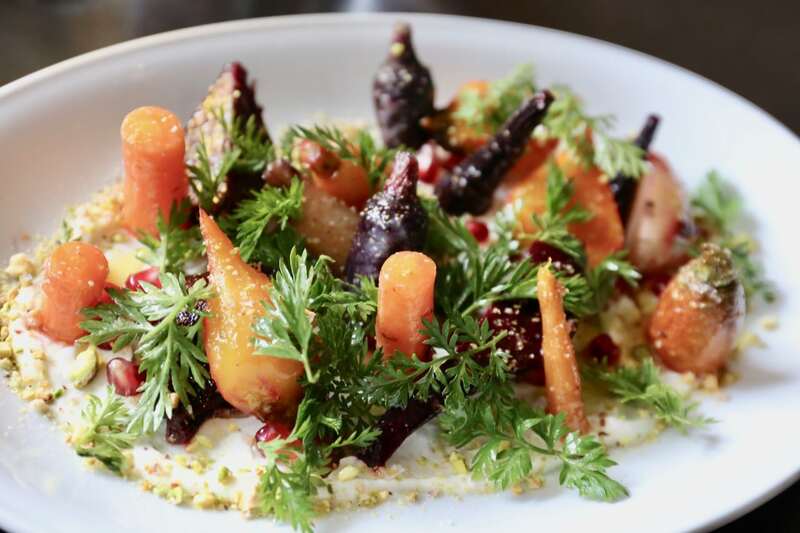 Carrot and beet salad at Buca Yorkville. A server slices fresh fish table side at Buca Yorkville. 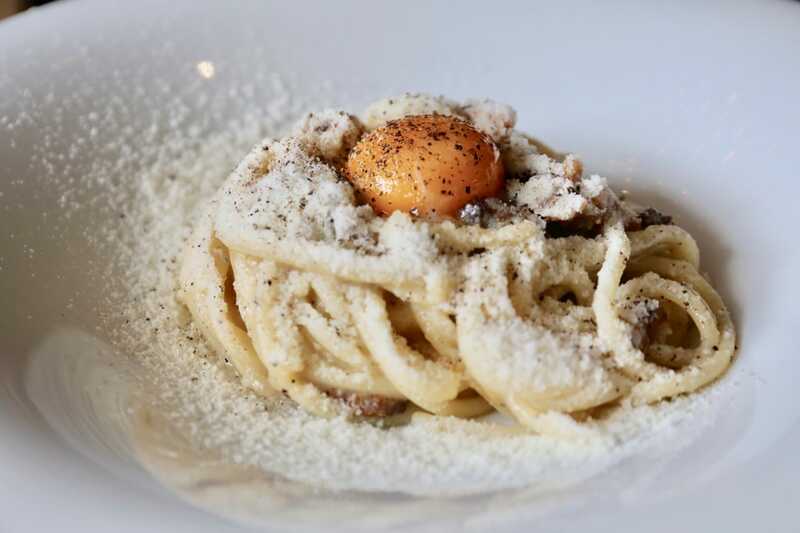 Italian brunch favourite, Spaghetti alla Carbonara. Spicy Scamorza Pizza at Buca Yorkville. Yorkville’s favourite Italian restaurant opens early in the morning, offering locals a great spot to pop in for a cornetti or bombolone paired with a creamy cappuccino before heading off to work. On Saturday and Sunday morning the dining room fills with Toronto brunch fans so be sure to book a reservation in advance. 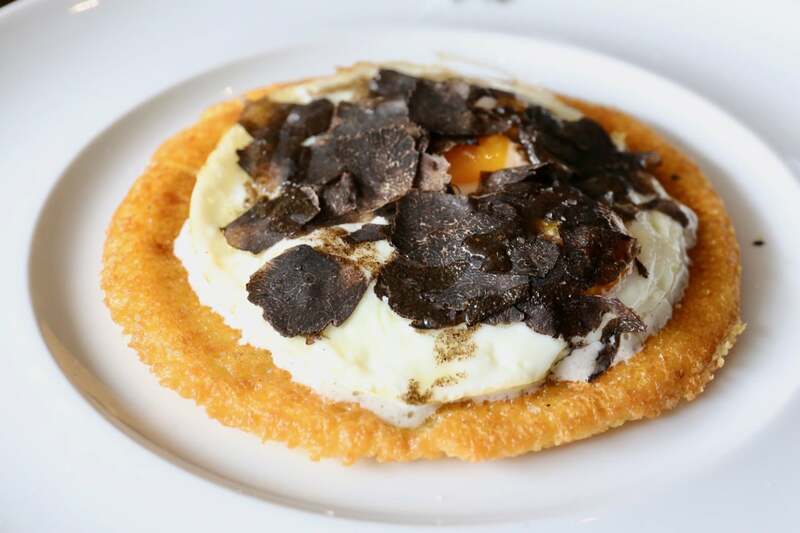 Buca Yorkville’s brunch features Italian chickpea crepes with black truffle and fried egg.